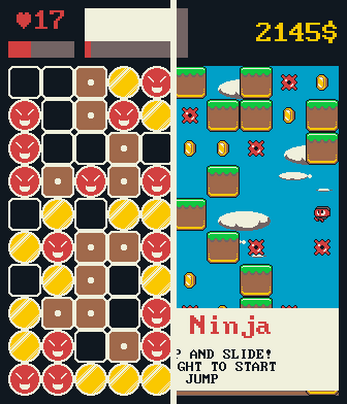 Casual gaming addiction is a chronical pathology in society and game design reached an endless stale point. People are playing the same few games forever and money is just a matter of time for gaming megacorporations. You are a KesieV Corp. employee and your mission is to become the richest game designer ever, serving the company by carefully crafting more of the same over and over again. Be creative, have fun but... Follow company's Tighty Deadline. 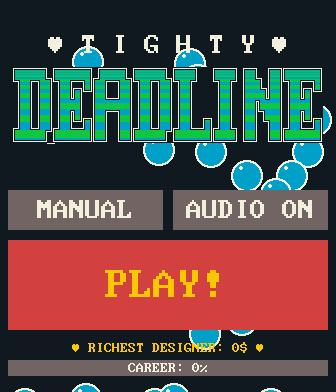 Tighty Deadline is a puzzle/action game about level design. 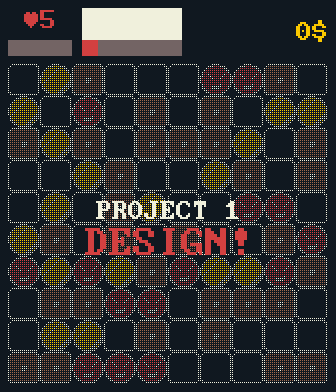 You've to design a map for a casual game using a match-3 level editor within a tight time limit. When the time is up you've to playtest your own stage and do your best. There are multiple casual games, inspired by mobile classics, which requires different design approaches that are progressively unlocked in a roguelike fashion. Tighty Deadline is free and opensource.